Enjoy a Healthy, Beautiful Smile Today! The secret to a healthy smile relies on more than just brushing and flossing at home. The American Dental Association also recommends you see your dentist in Fort Worth twice a year for a cleaning and checkup. Although you may think an appointment is unnecessary until after a problem develops, routine care lowers your long-term dental expenses by keeping your teeth and gums healthy. In fact, every $1 spent on prevention can save you $8 to $50 on restorative and emergency services. Dr. Gary N. Pointer helps you achieve your oral health goals with the semi-annual cleanings and checkups you need for a healthy smile. Your toothbrush and floss are your first line of defense against preventable issues, like tooth decay and gum disease. While they are effective for removing harmful bacteria and plaque, your home oral hygiene habits are only half of the care your smile needs. Even with the best brushing and flossing techniques, there are still areas in your mouth you cannot clean at home, like below the gum line. Plaque and tartar become trapped in these spaces. The only way to remove the buildup is with a professional cleaning. 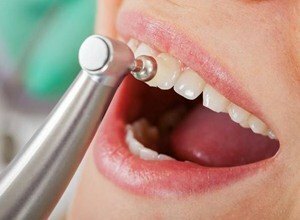 Our dental hygienist uses special instruments to clean the areas you cannot reach on your own and polishes your teeth. We also take the time to discuss your current oral hygiene habits and make recommendations for improvement. At the end of your cleaning, we may suggest additional preventive measures, like a fluoride varnish to help keep your teeth cavity-free. A semi-annual checkup allows Dr. Pointer to monitor your oral health. This gives him the opportunity to detect potential concerns sooner. 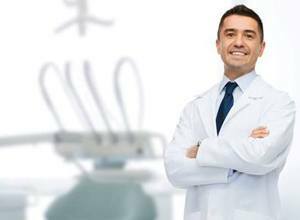 Quick intervention lessens the need for a costly or invasive treatment in the future. Besides a visual exam to check the health of your teeth and gums, digital x-rays are also taken. This allows Dr. Pointer to view your oral structures in their entirety to find any issues that may be brewing beneath the surface, like an infection. Dr. Pointer examines all your oral tissues to look for any areas of concern, like signs of oral cancer. He also checks the function of your temporomandibular joint to look for any abnormalities. After he completes his checkup, he discusses his finding with you and creates an individualized treatment plan to promote your oral health. Your teeth can serve you for a lifetime with a proactive approach to your oral hygiene. Besides brushing and flossing, do not forget about having a cleaning and checkup at least twice a year. We will help you maximize the value of your insurance policy to enjoy as much as 100% coverage for these services. If it has been more than 6 months since your last dental visit, do not wait for a problem to arise. Contact our office today to schedule an appointment for a cleaning and checkup. We look forward to helping you achieve a lasting, healthy smile.